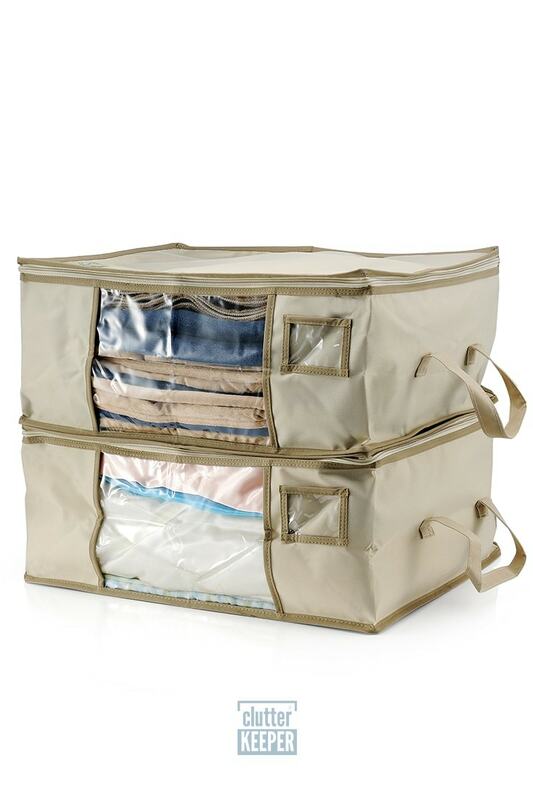 Are out of season blankets and clothes taking up valuable storage space in your closet? 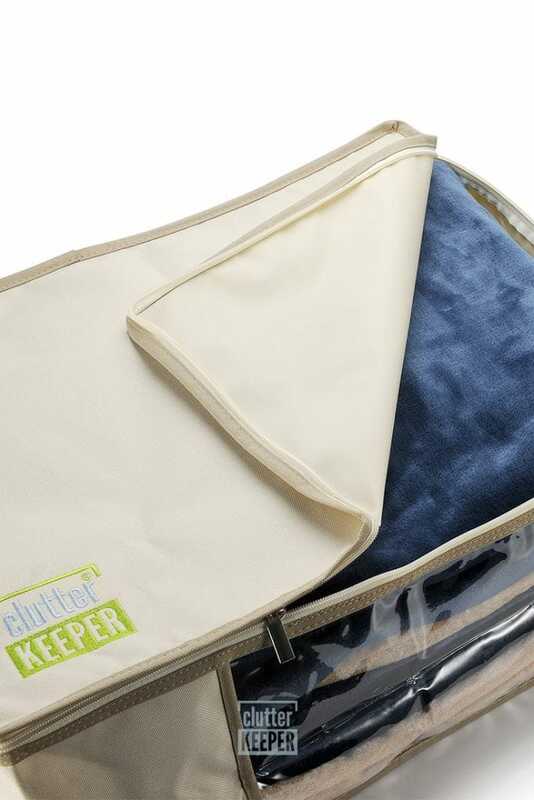 Get organized with the Clutter Keeper Deluxe Storage Bag Organizer. 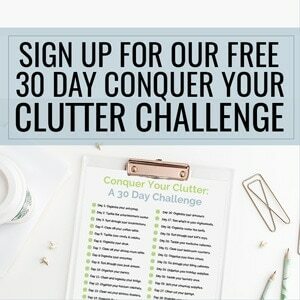 Conquer the clutter in your closet or under your bed. 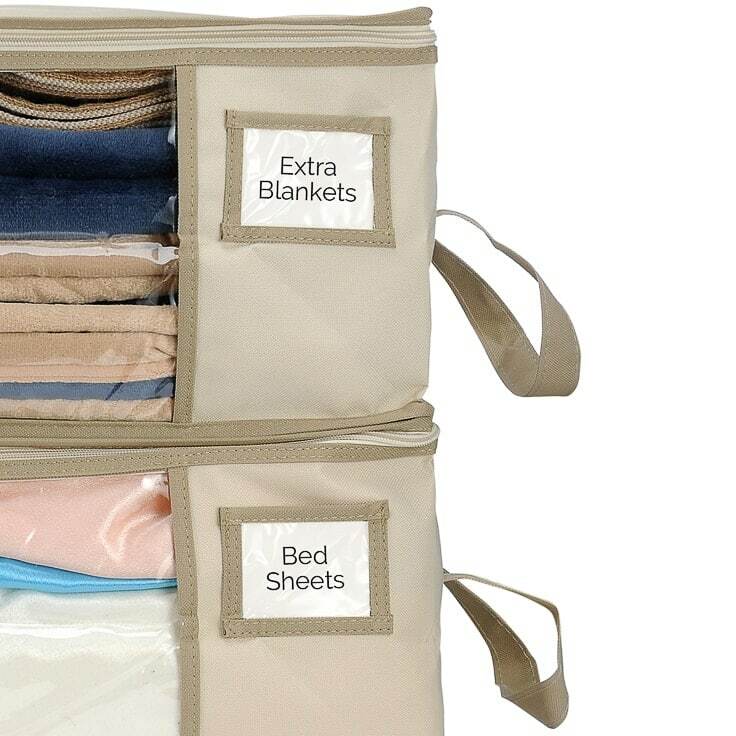 The Clutter Keeper Deluxe Storage Bag Organizer (Set of 2) is a high quality product designed to store and protect clothes, blankets, linens and other important items. 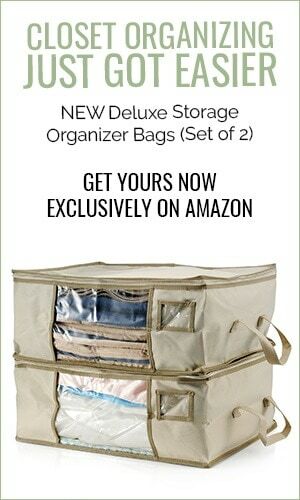 Get organized with the Clutter Keeper Deluxe Storage Bag Organizer. 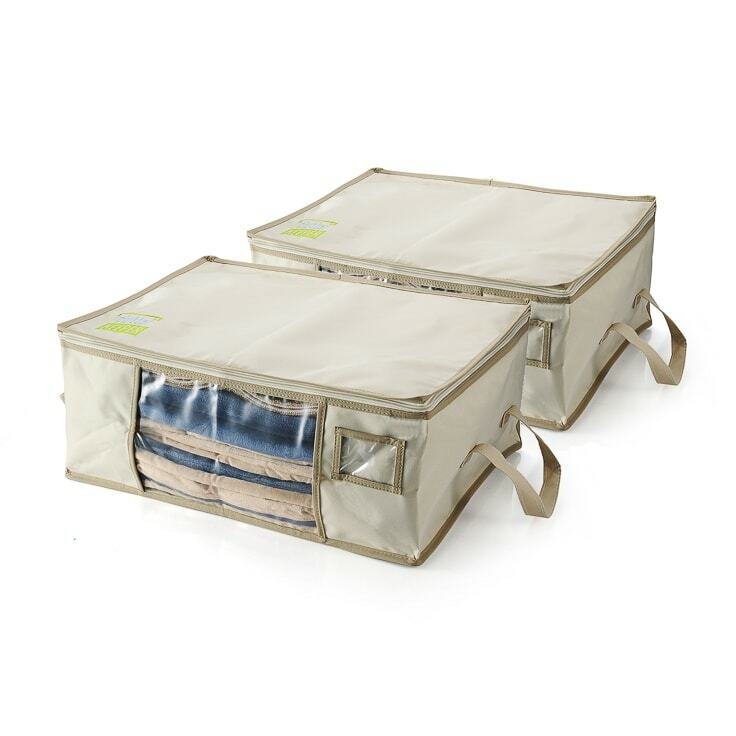 This product comes as a set of two high quality fabric totes, each with a soft-sided rectangular boxy shape and metal zippered closure. 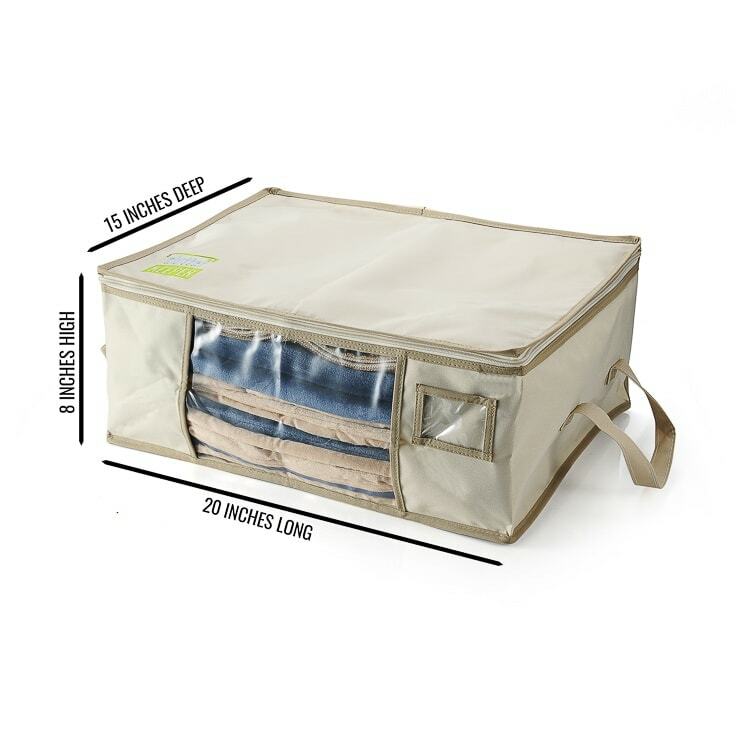 The clear window panel and label holder pocket on the front of the bags help you to easily identify and keep track of what you’re storing in each bag. 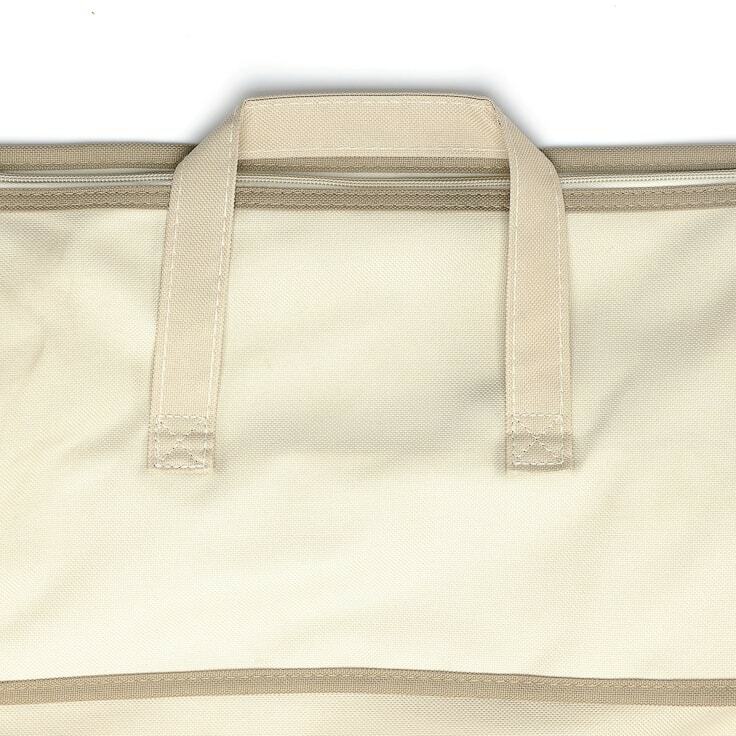 Each bag is 20 inches long x 15 inches deep x 8 inches high. 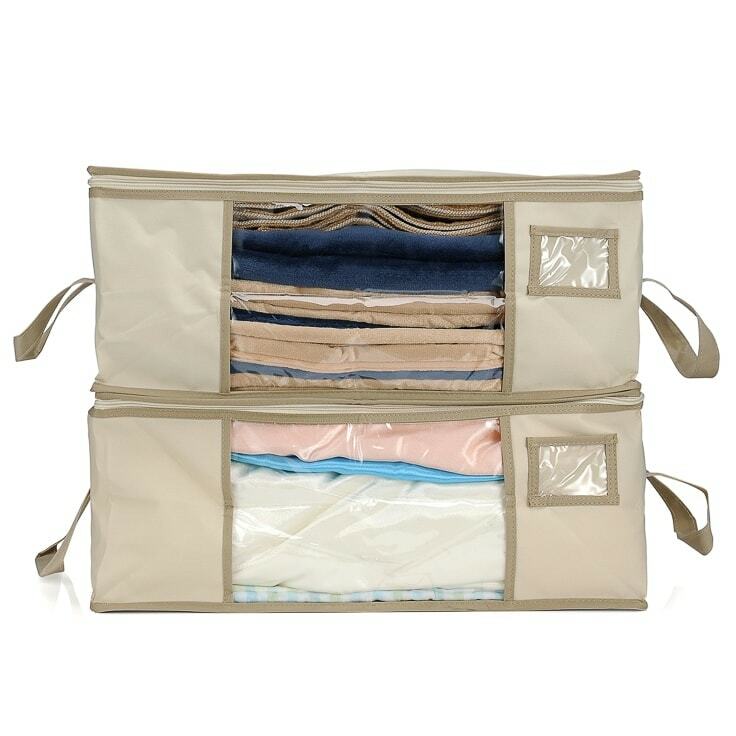 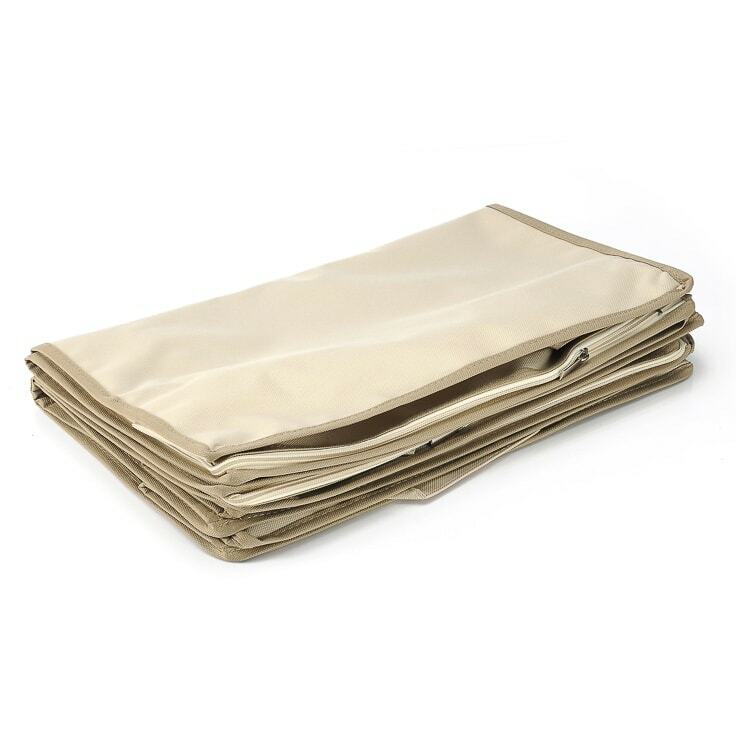 The organizer bags are made of thick, durable, heavy duty fabric for long-lasting frequent use. 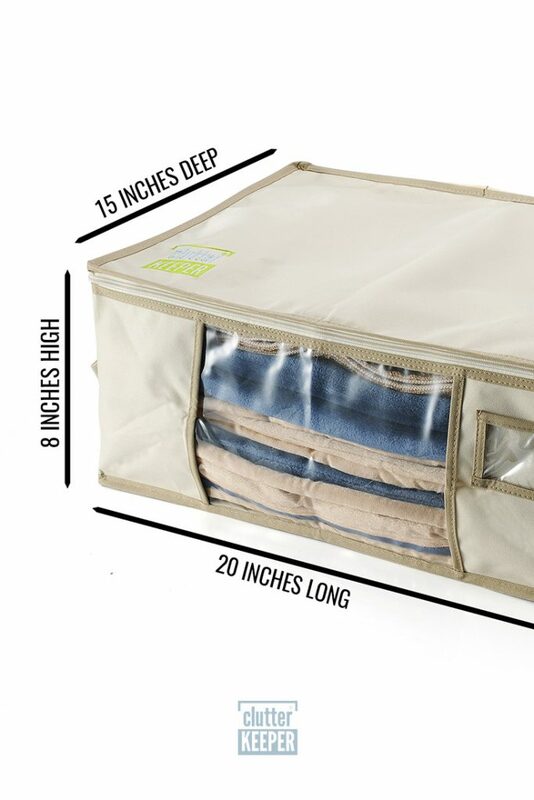 When full the storage bags can stack easily on top of one another in a closet, to use on a shelf or to slide under a bed. 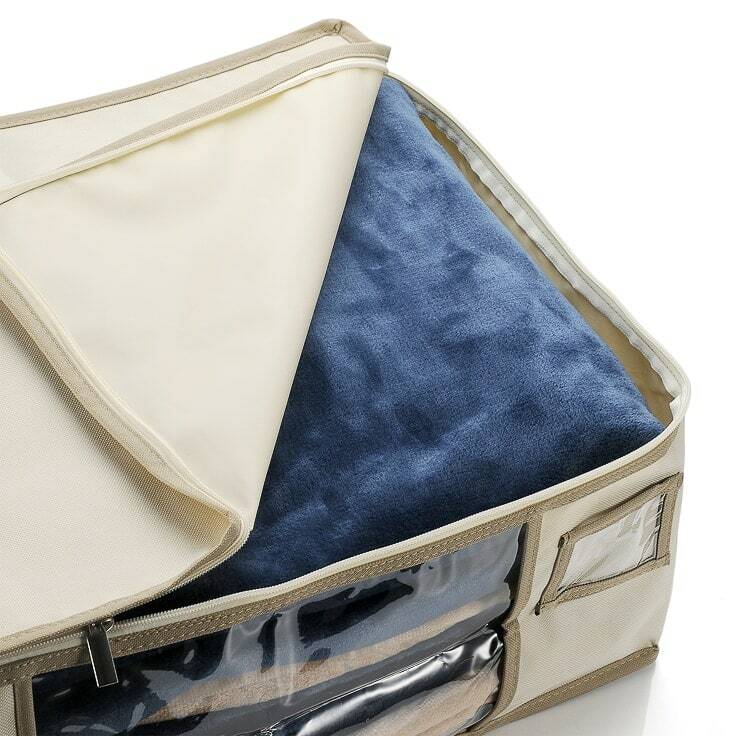 You can quickly pack or unpack the bags as each new season arises. 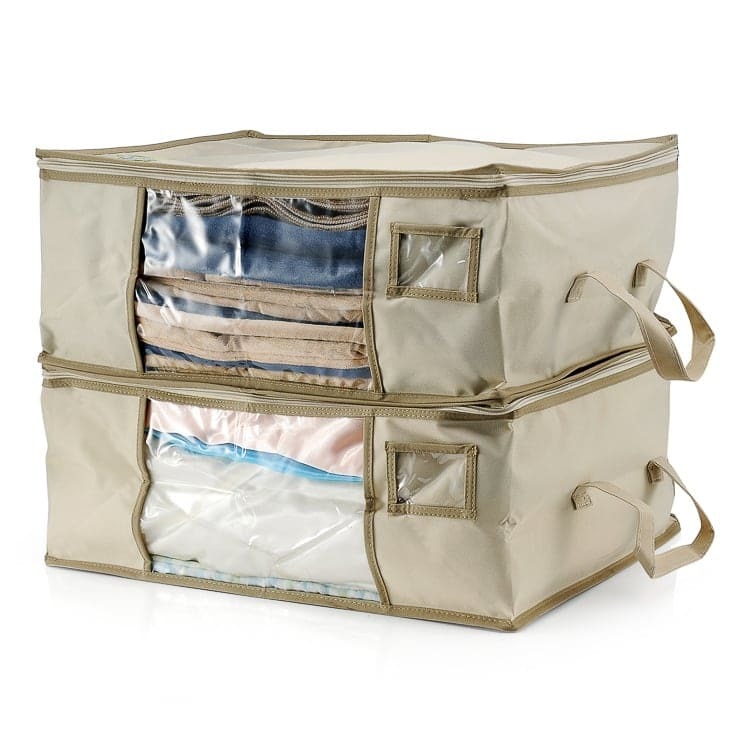 Or fold the bags and store them away to save space when they’re not in use. 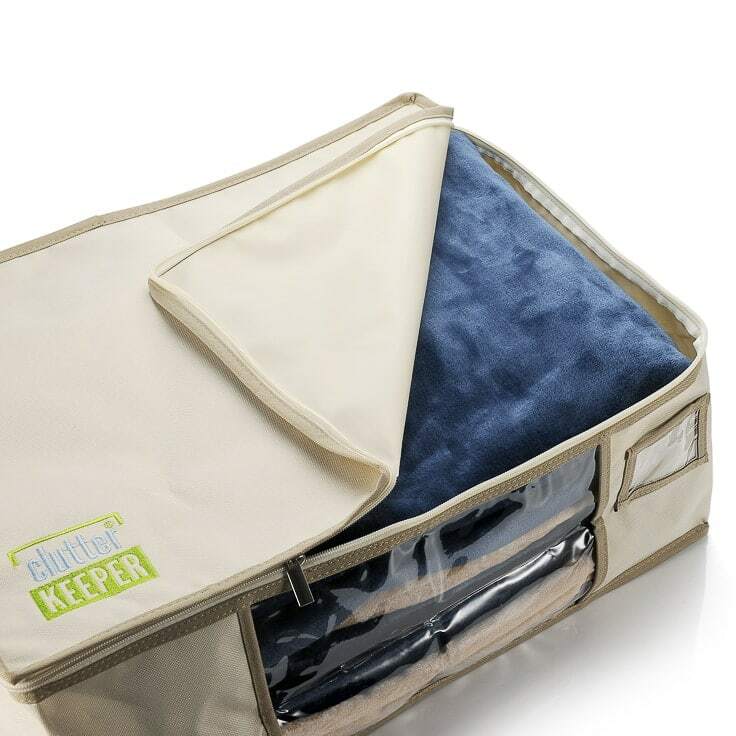 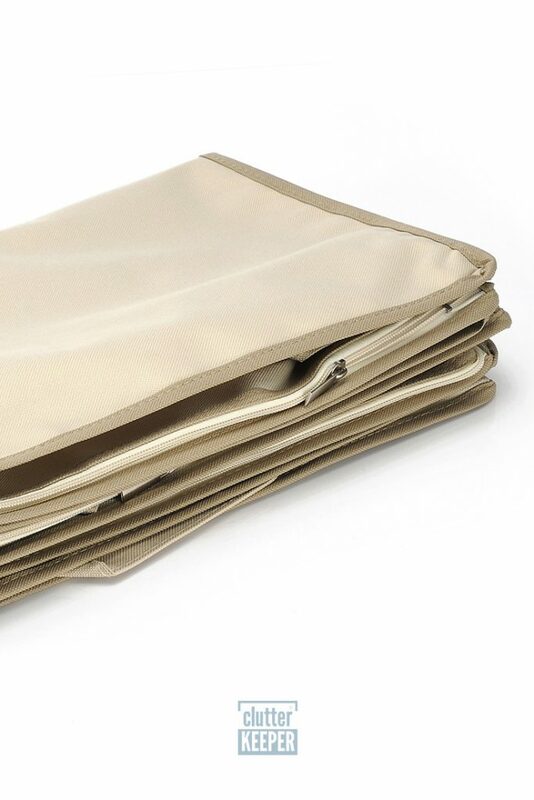 The Clutter Keeper Deluxe Storage Bags can each hold 2-4 large blankets or 10-20 winter sweaters. 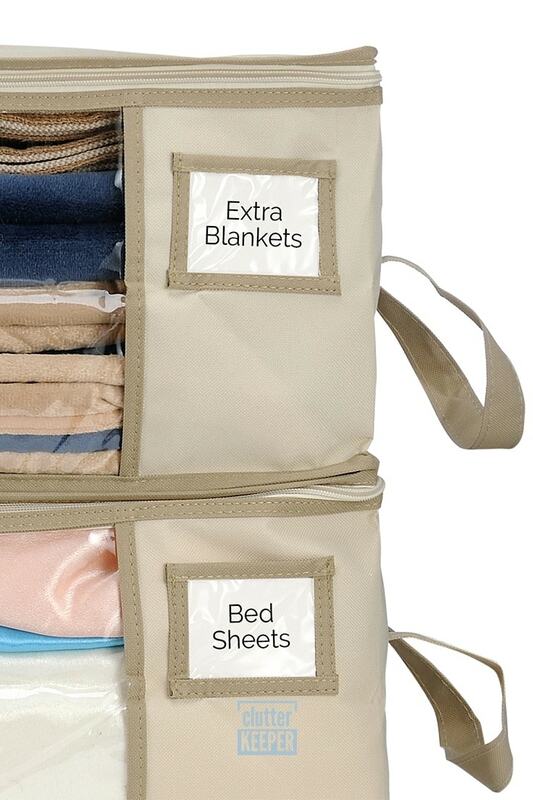 Use these bags to store and protect your favorite seasonal apparel and household items.